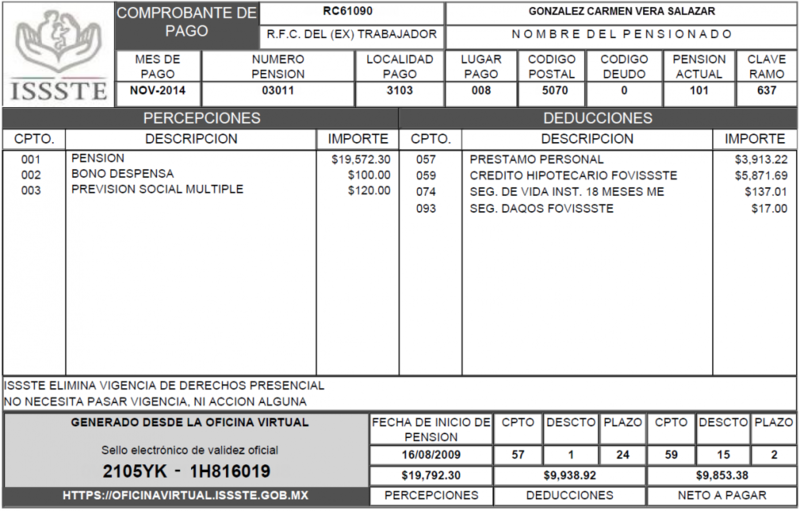 Mexico City, Mexico – May 22, 2015 – The Mexican Institute of Social Security Services for State Workers (ISSSTE) has deployed a new, high-profile, mobile consultation service for pensioners that seek real-time statements about their retirement accounts. Reports like the one below, include details such as balance and paycheck stubs. The deadline was tight and we completed the project in just 40 hours. 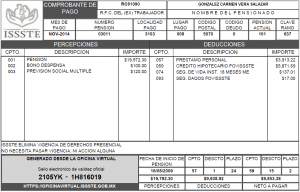 It’s a very popular application – pensioners access the system over 80,000 times a day,” said David Salazar, VP Four Js Latin America. Given the extremely short deadline, coding a bespoke application was ruled out in favor of an Adobe formatted Web report. The objective was to create a system that could support peak loads of 3,000 concurrent users on pay day, with a targeted daily total of 50,000 views. The system has been so well received that this threshold is regularly surpassed without performance degradation – only 15% of the host’s server CPU resources are used. Several solutions were reviewed, with the short list comprising Jasper Reports and Genero Report Writer. Genero Report Writer was selected due to its superior scalability and the speed with which it could be integrated into the existing application.